Paying fisherman to collect marine waste is an effective approach to keeping the region clean. Oceans all over the world are choking with plastic. Produced, used and dumped at an alarming speed, it is now filling up our oceans, bringing devastating consequences to marine life, entering the food chain (even reaching humans) and causing serious health impacts. The Arctic is no outlier to this trend. In fact, it has become a “dead end” for plastic trash being brought in by ocean currents from many other regions in the world as well as coming from living and fishing activities within the Arctic itself. A 2017 study by Cozar et al found that “most of the surface ice-free water in the Arctic Polar Circle is polluted with plastic debris” and estimated a staggering 300 billion plastic items floating in Arctic oceans, with two trash patches similar to the one in the Pacific forming in the Greenland and Barents seas. To give a sense of the magnitude of the problem, a community cleanup in Russian Arctic in 2017 collected more than two tons of plastic in just one day. And this is hardly an exception. From Alaska to Siberia, walruses, puffins and polar bears have all been seen entangled in fishing nets and ropes; and plastic particles have been found in the bodies of marine species that make up most of the seafood-based diet of Arctic communities. Plastic pollution is threatening Arctic inhabitants — human and nonhuman alike. It is imperative that efforts are made to remove the plastic. For plastic that washes up on coastlines, in various Arctic communities beach cleanup programs have already been developed with local and tourist volunteers, such as the Association of Arctic Expedition Cruise Operators’ Clean Seas project. The containment of offshore plastic, however, is much more challenging due to the Arctic’s inclement climate conditions. 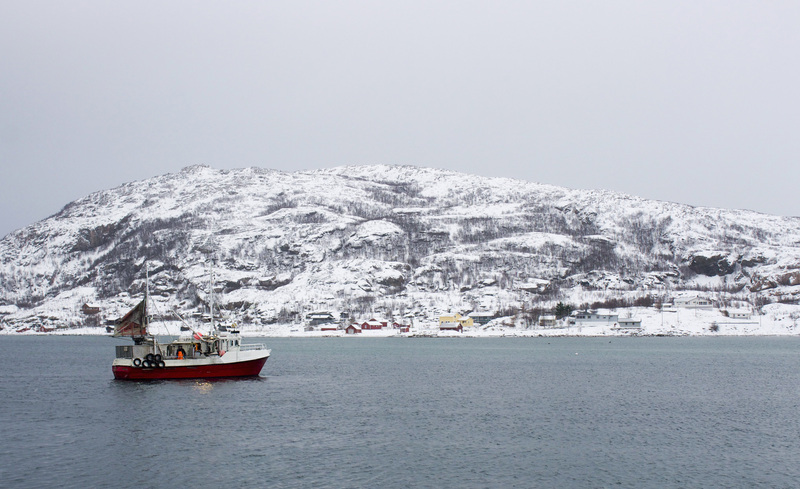 In this regard, Arctic fishing vessels are poised to be the most suitable group to get involved, as fishermen know the waters, are able to adapt well to the weather, and can integrate plastic collection relatively easily into their daily fishing activities. This is not a new idea — the participation of fishermen in marine plastic removal has already been applied in the Fishing For Litter initiative which started working with the fishing industry in the UK in 2004. But this project only provides bags and covers waste costs. In the Arctic where both collection and transportation take more effort, it is necessary to step up the motivation for fishermen to clean up by providing them with a financial incentive. Therefore, I propose the creation of an Arctic Cleanup Fund, which pays fishing vessels to remove marine litter by buying the plastic trash they collect at sea, including their own discarded fishing equipment. This litter will then be sorted and shipped to the nearest recycling and waste-to-energy incineration facilities. While the working mechanisms of this program are rather simple, a sustainable financial resource is crucial to its success. The International Maritime Organization’s Polar Code, which entered into force on Jan. 1, 2017, could be leveraged for this purpose. The code requires ships intending to operate in the defined waters of the Antarctic and Arctic to apply for a Polar Ship Certificate. By collaborating with the IMO to include an annual mandatory contribution in the cost of the application of this certificate, Arctic governments could finance an “Arctic Cleanup Fund,” which corresponds to the environment protection aspect of the Polar Code. The exact amount of contribution could be determined by the size of the ship, its purpose, and whether the ship mostly operates in one specific Arctic region or transits through the Arctic. For example, cargo and tanker ships could make the highest contribution, followed by commercial fishing and passenger vessels. Supply, research and survey vessels, and indigenous fishing vessels could make small contributions proportionate to the scope of their activities. The acquisition of the Polar Ship Certificate, if not mandatory, could be incentivized by coupling it with shipping insurance schemes or other economic benefits determined by Arctic governments. In 2014, Arctic shipping made up 9.3 percent of the world’s shipping traffic, with more than 11,000 ships entering the region that year. If all of these ships made an average annual contribution, when obtaining their Polar Ship Certificate, of $1,000 to a cleanup fund, the fund would have an operating budget of more than $11 million a year to finance plastic trash collection. Moreover, the Arctic is in transition to a seasonally ice‐free state, which is projected to happen by the end of this century. With the melting sea ice increasing navigability, extending shipping season, and opening up new and faster shipping routes, Arctic shipping activities will undoubtedly continue to increase in the future. This promises a sustainable financial resource for a collective effort to rid the Arctic of plastic, for its marine life, for its people, and for the Earth. Linh Nguyen is pursuing her Master’s in Public Policy at HKS as a Fulbright and John F. Kennedy fellow. Her interests include sustainability, migration and climate change.